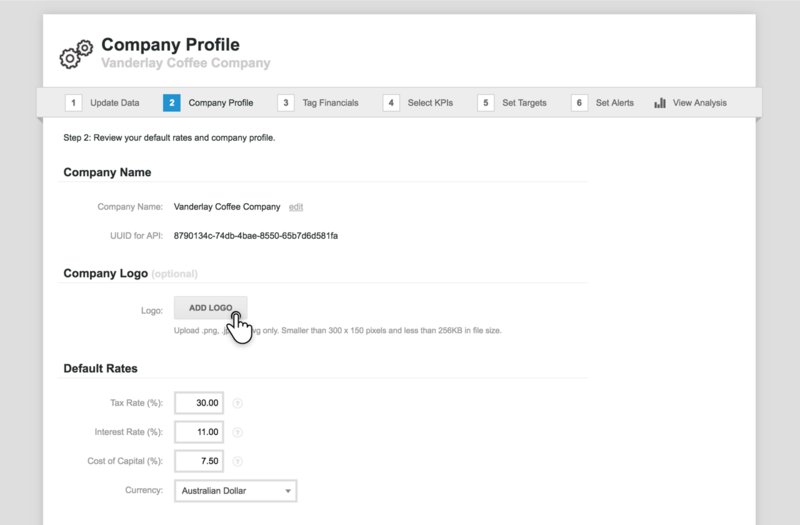 In 'Step 2: Company Profile', you can set the default rates (i.e. tax rate, interest rate and cost of capital) for this company. These default rates will be factored in to a few specific default KPIs, and can be added as variables in any custom KPIs you create. 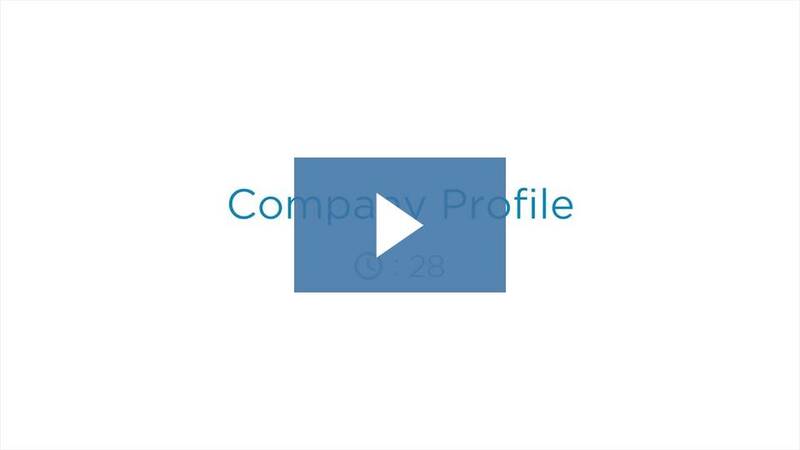 Additionally, if you are planning to benchmark this company against other companies you connect to your Fathom account, you can specify some profile information for each company. This allows for segmentation of companies by some fixed criteria. You can add a company specific logo by clicking the 'Add Logo' button. You can then include this logo in reports for this company. If required, you can edit the company name for this entity. This is useful, if you wish to change the presentation of the company name in the reports. When this step is complete, please proceed to ‘Step 3’.